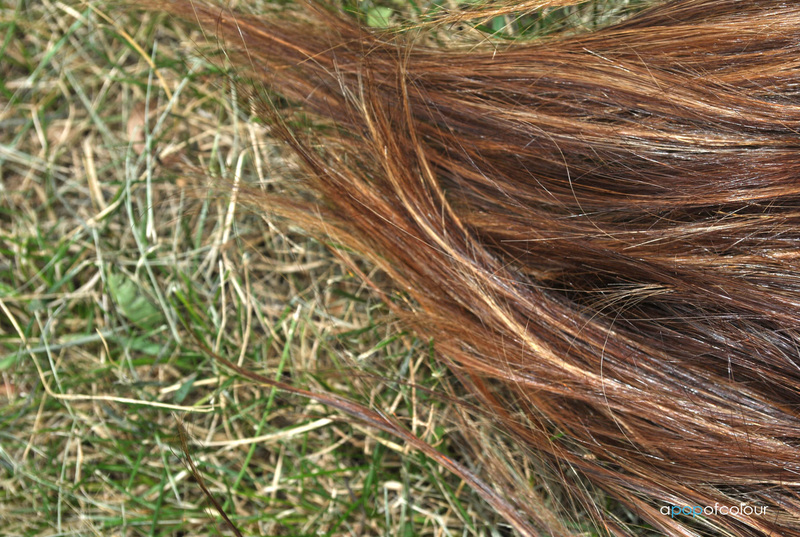 So between chlorine, the sun, heat (temperature and hot tools), and sweat, summertime can be quite harsh on your hair. I have a lot of hair products but there are a few that I regularly use on a daily basis whenever I do anything to my hair. If I want an extra bit of volume, I will apply this mousse to the roots of my hair fresh out of the shower. I have a few mousses but honestly I prefer this one the most as you don’t need a lot of it and it really does do it’s job. For the most part in the summertime I will usually just air dry my hair but if I want some major volume I will apply this prior to an at-home blowout. If I am going to blow dry my hair I will often apply this product closer to the ends. I know that Kiehl’s is mostly known fro their skin care, but honestly every hair product I have tried from them has been great. This stuff also leaves your hair nice and shiny, not to mention soft. This is a product that I usually only ever use in summertime as it is a hair fragrance that leaves your locks smelling like the ocean. I mean it’s not the same scent to a T but it leaves your tresses scented like beach. The best part? Whenever you toss your hair around it sends off a scent burst. If I choose to straighten my hair I will often apply a shine serum to finish off the look. I have really been loving this one from Essensity as it looks like a cream once out of the pump but leaves your locks smooth and shiny. I am seriously obsessed with this stuff. I don’t really have frizzy hair to begin with, but I will apply this to damp hair and it just leaves my hair looking nice, soft, and manageable. Typically I use two pumps of the product and then apply it closer to my ends. I cannot recommend this enough. I have tried a few hair masks but honestly, nothing compares to this one. Apply this to damp hair after you shampoo, leave it in for five minutes, and your hair is so smooth. I don’t use this everyday, but if I feel like my hair is feeling a little coarse I will apply this stuff and my hair will be back to looking smooth and healthy-looking in no time. I did use this right after I highlighted my hair blonde (I basically went from black to blonde highlights which is very damaging) and after a few uses my hair went from dry and brittle to soft and manageable. 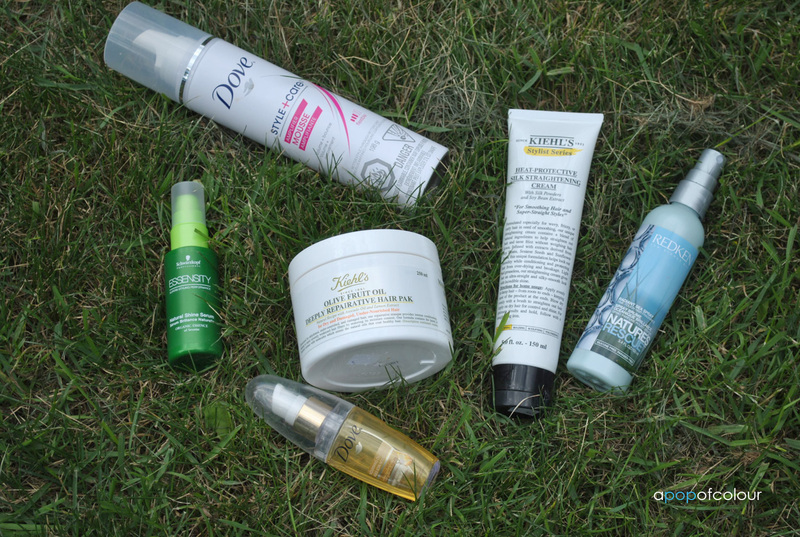 What are your favourite hair products for summer? Leave me a comment below. My picks for summer 2012: face, body, hair… and dog?